ENOUGH COMFORT:Excellent elasticity, Comfortable Wearing and Easy Washing FASHION STYLE:More of a Racerback Style with an X-shaped Strap Connected in the Middle by a Stretchy Mesh Material. .....BEFORE BUYING ALWAYS CHECK THE SELLER NAME IS DILENCY SALES FOR ORIGINAL DILENCY SALES PRODUCT. (Free Size -32 to 36) This bra has a front chain opening for extra comfort and style. 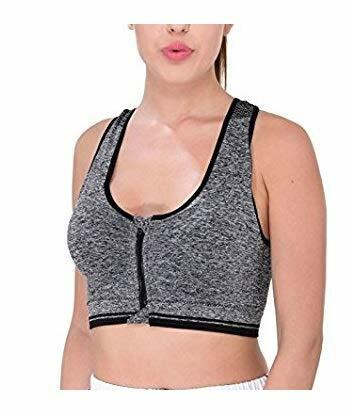 It comes with padding which can be kept or removed as per your choice Enjoy superior coverage that won't weigh you down with this mid-impact sports bra. Anti-microbial and Light weight Scoop neckline Pullover styling with classic racerback. 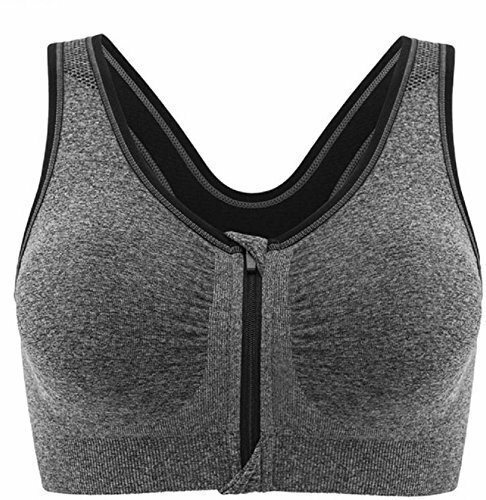 It is a performance sports bra and provides maximum protection as well as support for your breast for any kind of workout ranging from running to heavyweight lifting.